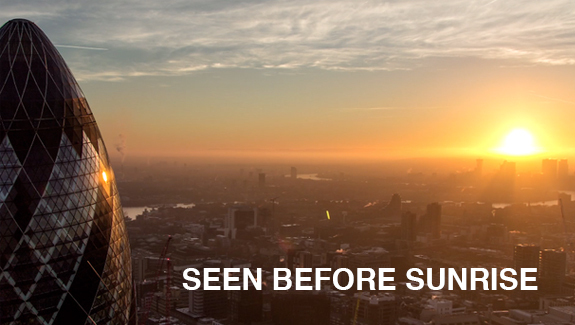 The main feature is a beautifully crafted aerial cinematography piece; combining iconic London landmarks and a beautiful timelapse of the sun rising to show the city waking up. The second is a “making-of” video; telling the story of its creation including the technicalities, the legalites and the creative process behind drone filming. With the increase in affordability and use of drones in all kinds of filmmaking, we thought we’d share with you keen filmmakers our 5 tips on the pitfalls and prizes of editing a drone film – what to look out for; the best workflow, and how the devil is in the detail. Digital Snowball oversaw all of the post-production from editing through to grading and sound design, as well as shooting the outdoor “Making-of” scenes. Alan Stockdale of Foundlight Productions composed the score for the drone film, and Al Livingstone of Blackbee films shot the aerial footage on their DJI Inspire 1 4K drone. 4K can give you an unrivalled crispness of image, but its higher resolution (aprox 1080P) means noise is amplified 4x as much, and unless all conditions and mechanics are perfect for the shoot, you can be dealing with pixels big enough for q-bert to jump around on. Filming at night / early morning during our Seen Before Sunrise shoot meant our environment was dark, and our subject matter and landscapes varied from shoot to shoot, as did the amount of light we had to play with. Blackbee Films were using the DJI Inspire 1 with the X5 f/2.8 35mm equivalent and f/2.8 90mm equivalent Olympus lenses. With its Micro Four Thirds sensor its an ideal size for a camera mounted on a gimble, flying 150m above the city, but neither the lenses at f/2.8 perform great in low light. There are scenes in the film that retain their sharpness thanks to a well-lit foreground, but there are sweeping panoramic shots that struggle with the lack of light. Subsequently, when it came to the edit there was a lot of de-noising required (more on that later). So, if you’re going to shoot your city at night, make sure you pack a lens around the f/1.8 mark. We did the whole edit in Adobe Premiere Pro CC15, which works well with multiple file formats and codecs. On the SBS project we were working with native 4K H264 from the Inspire 1; 200mb/s H264 from the Panasonic GH4; and .MXF files served up with the FS7’s XAVC file structure. Whilst Premiere Pro can handle all these formats in principle, we often find that H264 footage tends to play with lag, especially at 4K. So we used ProresLT proxies for the 4k drone footage, editing in a prores sequence, and then re-linking to the original media once the edit was locked in. It was a bit of a cumbersome workflow creating all the proxies (and re-arranging into their original sub folders so that re-linking would be straight-forward), but once you’ve set that stage up early on, it will save you heaps of time later in the edit. So if you’ve shot in 4K H264, give yourself enough time to convert your proxies to prores. And also make sure you think about your re-linking file structure and directory paths – they need to match! Do this early on in post and you’ll save yourself a whole lot of headaches over yellow render bars. This kind of follows on from tip 2, and is quite a subjective point. We use Premiere Pro on the one hand because it can juggle multiple codecs and formats, but equally as important is the dynamic link functionality built into Premiere Pro. It doesn’t really matter what NLE you use, so long as the workflow works for you. Because we were working with a couple of static timelapse shots from a skyscraper, we needed to give it the same dynamic feel that the drone footage had. So bringing it into After Effects allowed us to mask off certain things in the foreground and Ken Burns them with a bit of a parallax effect. This gave us the effect of a drone timelapse shot (have a look at The Gherkin in the time lapse shot in Seen before Sunrise), and this was made infinitely easier by the dynamic link between Premiere Pro and After Effects. Ultimately each NLE is going to have pros and cons, and you will inevitably be more familiar with one workflow than another. So with NLEs its just worth thinking about how you can save time when you’re on a client project, and Adobe’s dynamic link is a massive time saver, be it for compositing shots in After Effects or for your titling. For this tip I have lumped VFX, grading and stabilizing into one category: “Treatment”. Generally speaking a treatment is something you develop in the pre-production or even the pitch stage, but for the sake of the post-production process, it shall refer to anything done in terms of treating the image. As mentioned earlier, 4K resolution brings with it a lot of detail, but also a lot of detailed noise. In the early hours of the morning, if you’re not using the right lenses, you will get a lot of noisy shadows and mid-tones in your footage. To tackle the noise problem we used Neat Video’s noise reduction plug-in. It’s incredibly adept at reducing noise in specific parts of the frame (specified by the user) without affecting the rest of the picture. It works really well for uniform areas like the sky and dark shadows, but is of no use on texture-heavy areas like buildings and streets. Neat Video’s plugin is a great resource to have at your disposal, because you can’t always see how noisy a shot is on a drone camera display screen, but you can in the edit. Warp stabilizer can save you from a subtle shake, but it won’t make your handheld monstrosity look like a Jean-Pierre Jeunet jib shot – so use it wisely. you can often rely on warp stabilizer to give you a smoother looking shot. Grading isn’t exclusive to a drone project, but its worth covering off how it was integral to the project of showing a sunrise in London. First of all, London is synonymous with cloud, and the sun just doesn’t shine all that often in the depths of February. So a large part of the grading involved amplifying the few real sun shots we had, as well as getting rid of that grey hue that surrounds London on those cloudy mornings. We used Magic Bullet’s Colorista III, pulling out the yellows and reds in those sun shots with the Walkie Talkie, and the timelpase shot of The Gherkin. We used the grey hue of the morning to give us our early morning transitions shots. Crushing the greys and adding a dark blue hue gave the perfect colour temperature for the shots featuring our runners and yoga-ists. Dark enough to suggest it’s early morning, but still light enough to appreciate textures, shapes and St. Paul’s Cathedral. Colorista gives you so much control over your image, and you can really push it without creating any noise, so it’s worth investing in this little gem for your tool-kit. Finally, it’s also worth mentioning that to give the highlights a glow, and amplify the shimmer and streaks in the street and building lights we used Red Giant’s Starglow plug-in. A lot can be won and lost on those subtle details, and the things that often go unnoticed are the same things that give your image more depth and texture. Plug-ins like Starglow and Colorista really are useful tools for pushing your image that bit further, and keeping your audience (and client) captivated. The workflow we decided on as a production team was to shoot everything in 4K and then deliver the films in 1080p. This would enable us to punch in on the 4K footage, and rescale and reposition landmarks on the horizon to sit in the viewer’s eye line. So the devil really is in the detail with editing 4K landscape drone footage. Not only do you need to choose the right shots, but you almost need to re-shoot the take once you have an area of interest within a specific shot. By scaling in you can isolate any points of interest, and by using time remapping you can stretch or shorten the drone’s natural movements. Most of our shots were long 30sec+ takes, which we ended up remapping and stabilizing to give us the right elevation, speed and visual impact to tell the story. So remember to take your time when watching the rushes, because you can tell a multitude of different stories just by punching in on your image. And because drone footage is often very smooth and very long takes, you can experiment with the rather untraditional practice of time remapping footage. So those are our 5 tips for you future drone filmmakers and editors. It’s by no means a blueprint, just a useful guide to help you hone your drone skills.